As a treat I would do a cooked brekky and today was that day!! 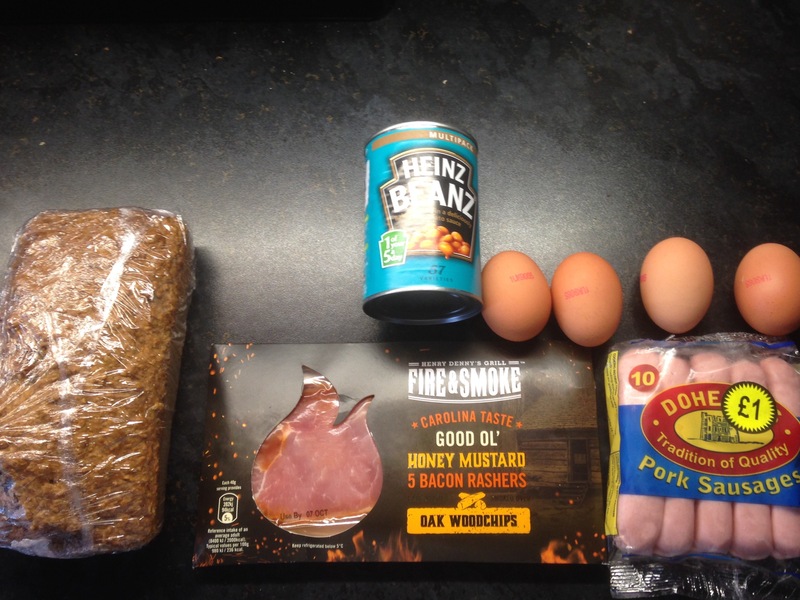 The kids love sausages and eggs and beans, they are getting used to bacon and wheaten. That was the menu….. The wheaten was courtesy of Denise from Londonderry Arms Hotel (Carnlough). I sliced 2/3 of the loaf and toasted and buttered the 6 slices. The beans were Heinz and the 10 sausages were Dohertys. The 5 bacon rashers were Honey and Mustard from Denny Fire and Smoke range. 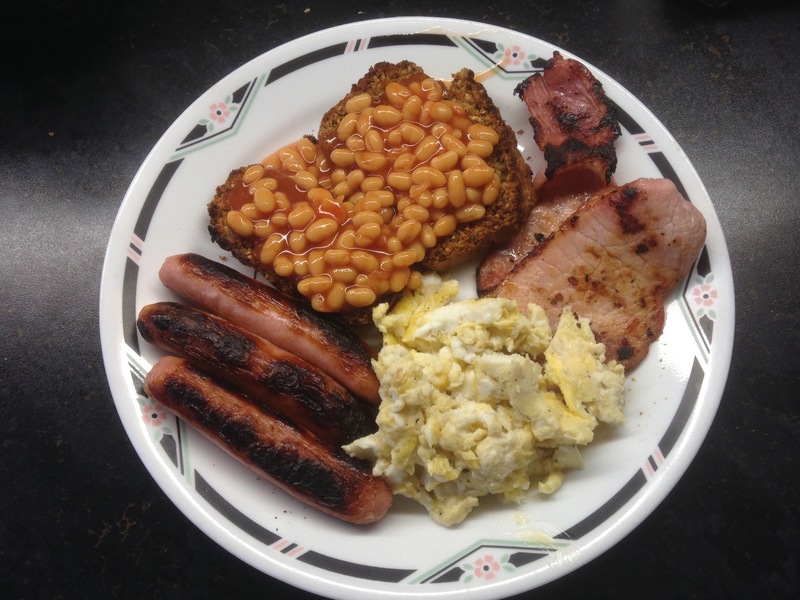 The beans were microwaved and meat pan fried in non stick pan (no additional oil used and none came out of sausages or bacon and crucially no white residue came off bacon!). The 4 free range eggs were from Glenballyeamon is Cushendall and I scrambled them. Above was my plate and it was absolutely fab. The girls are all theirs and loved it!!! There was enough food for a family of four!! Sounds like you have great ingredients over there. Here the bacon is saturated with water – not nice at all. Des. Des when u come over I will cook for u m8! !